1 1/16 miles on the turf. Post time for the Kentucky Utilities Transylvania, the ninth race on the 10-race Friday program, is 5:30 p.m. First post is 1:05 p.m. Trained by Mike Maker, Henley’s Joy has compiled a 6-3-2-0 mark on the grass. 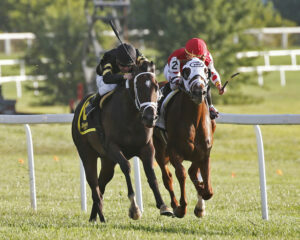 In his lone Keeneland appearance, he finished second beaten a nose in last fall’s Dixiana Bourbon (G3). Tyler Gaffalione has the mount on Henley’s Joy, who will break from post position 10. Invading from Florida is Sandra New’s consistent Louder Than Bombs. Trained by David Fawkes, Louder Than Bombs enters Friday’s race off a third-place finish in the Palm Beach (G3) at Gulfstream Park on March 2. Luis Saez has the mount and will break from post position seven. 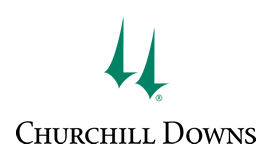 The field for the Kentucky Utilities Transylvania, with riders and weights, from the rail out is: The Black Album (FR) (Jose Ortiz, 120 pounds), Onthewaytonevrland (IRE) (John Velazquez, 118), Go Away (Feargal Lynch, 118), Avie’s Flatter (Javier Castellano, 120), Weekly Call (Brian Hernandez Jr., 118), Dunph (Julien Leparoux, 118), Louder Than Bombs (Saez, 120), War Film (Florent Geroux, 118), Hawaiian Noises (Rafael Bejarano, 118), Henley’s Joy (Gaffalione, 120) and Life Mission (James Graham, 118). On another so-cold-you-can-see-your-breath morning at Keeneland, David Fawkes was holding the shank on one of his runners at the east end of the Keeneland stakes barn. Fawkes has returned with two horses, headlined by Sandra New’s Louder Than Bombs, who figures to be one of the favorites in Friday’s 31strunning of the $150,000 Kentucky Utilities Transylvania (G3) going 1 1/16 miles on the grass. Third in the Palm Beach (G3) in his most recent start, Louder Than Bombs figures to stay in Kentucky after Friday’s race. Rain is in the forecast for Friday, and Louder Than Bombs might encounter conditions he has not faced. “I think he needs a little give in the ground and he has never had that,” Fawkes said. Merriebelle Stable’s Blue Prize (ARG), winner of last fall’s Juddmonte Spinster (G1) here and unraced since finishing fourth in the Breeders’ Cup Distaff (G1) in November at Churchill Downs, worked a half-mile in :47.40 and galloped out 5 furlongs in :59.60 Tuesday morning in her first Keeneland work of 2019. Making the rounds Tuesday morning was jockey Chantal Sutherland, who has not ridden here since 2011 when she rode Great Hot (BRZ) to a head victory over Groupie Doll in the Lexus Raven Run (G2). Sutherland, based mainly throughout her career in Southern California and Woodbine, rode 21 winners at the just-concluded Fair Grounds meet in her first season in New Orleans. Represented by Rocco O’Connor, Sutherland plans to ride the Kentucky circuit this year before returning to Fair Grounds later this year. Joe Sharp on Vivid Verse in Thursday’s Palisades Turf Sprint. Wesley Ward on his starters, including Bound for Nowhere in Saturday’s Shakertown (G2) and The Mackem Bullet (IRE) and Naughty Jokerin Sunday’s Appalachian (G2) Presented by Japan Racing Association; and on preparing horses he might send to Royal Ascot in June in England, including one owned by Hall of Fame jockey Steve Cauthen. Nine stakes worth $2.85 million will be run during the opening weekend of Keeneland’s 16-day Spring Meet that begins Thursday, April 4. Click here for the lists of nominations and past performances for the stakes. $1 MILLION TOYOTA BLUE GRASS (G2) (Entries taken Wednesday; race Saturday, April 6 – Admire (Dale Romans), Aquadini (Dallas Stewart), Chess Chief (Stewart), Dream Maker (Mark Casse), Hoffa’s Union (Casse), Lucky Lee (John Servis), Market King (D. Wayne Lukas), Mr. Ankeny (Romans), Moonster (Romans), Parsimony (Doug O’Neill), Signalman (Kenny McPeek), Sir Winston (Casse), So Alive (Todd Pletcher), Somelikeithotbrown (Mike Maker), Vekoma (George Weaver) and Win Win Win (Michael Trombetta). $500,000 CENTRAL BANK ASHLAND (G1) (Entries taken Wednesday; race Saturday, April 6 – Bell’s the One (Neil Pessin), Bizwhacks (Doug O’Neill), Chocolate Kisses (Mark Casse), Feedback (Chad Brown), Jaywalk (John Servis), Lady Kate (Eddie Kenneally), Needs Supervision (Jeremiah O’Dwyer) and Restless Rider (Kenny McPeek). Possible: Naughty Joker (Wesley Ward) and Orra Moor (Todd Pletcher). $300,000 MADISON (G1) (Entries taken Wednesday; race Saturday, April 6) – Amy’s Challenge (Mac Robertson), Cathedral Reader (Dallas Stewart), Late Night Pow Wow (Javier Contreras), Shamrock Rose (Mark Casse), Spiced Perfection (Peter Miller) and Sultry (Eddie Kenneally). $250,000 COMMONWEALTH (G3) (Entries taken Wednesday; race Saturday, April 6) – Bobby’s Wicked One (Al Stall Jr.), Copper Town (Todd Pletcher), Limousine Liberal (Ben Colebrook), New York Central (Steve Asmussen), Richiesinthehouse (Larry Rivelli), Runaway Ghost (Todd Fincher), Still Having Fun (Tim Keefe), Storm Advisory (Anthony Quartarolo), Uno Mas Modelo (Quartarolo) and Warrior’s Club (D. Wayne Lukas). $200,000 SHAKERTOWN (G2) (Entries taken Wednesday; race Saturday, April 6) – Angaston (Lon Wiggins), Bay Muzik (Miguel Angel Silva), Bound for Nowhere (Wesley Ward), Captain Scotty (Peter Miller), Chaos Theory (Brendan Walsh), Disco Partner (Christophe Clement), Imprimis (Joe Orseno), Jazzy Times (Wes Hawley), Latent Revenge (Greg Foley), Richard’s Boy (Miller) and Shakhimat (Roger Attfield). $200,000 APPALACHIAN (G2) PRESENTED BY JAPAN RACING ASSOCIATION (Entries taken Thursday; race Sunday, April 7) –Angel Alessandra (Peter Miller), Beautiful Ballad (Mark Casse), Catch a Thrill (Casse), Clause (Chad Brown), Hard Legacy (Norm Casse), Primela (FR) (Cherie DeVaux), Princesa Carolina (Kenny McPeek) and Regal Glory (Brown). Possible: Naughty Joker (Wesley Ward). $150,000 BEAUMONT (G3) PRESENTED BY KEENELAND SELECT (Entries taken Thursday; race Sunday, April 7) – Another Time (Barbara Minshall), Fancy Dress Party (Ben Colebrook), Mother Mother (Bob Baffert) and Power Gal (JPN) (Mark Casse). During Keeneland’s 2019 Spring Meet, racing fans will have a number of ways to follow all the action. 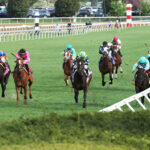 All Keeneland races are streamed live and at no charge on Keeneland.com. “Today at Keeneland” is a 30-minute race-day preview show with handicapping picks and discussion of horses of interest that begins at 11:30 a.m. ET. Hosts are racing analysts Gabby Gaudet and Scott Hazelton, who also are the Paddock Hosts during the races. “Today at Keeneland” is based at Wagering Central on the first floor Grandstand, where fans are welcome to watch the live program. “Today at Keeneland” airs live on TVG2, The CW Lexington and WKYT.com and is streamed live on Keeneland.com, KeenelandSelect.com and Facebook Live. On April 4, live on-site coverage on TVG begins at 2 p.m.
On April 5-26, live on-site coverage on TVG begins at noon. On April 6, NBC Sports Network will have live coverage of the Toyota Blue Grass (G2) and a recap of the Central Bank Ashland (G1) from 5:30-7:30 p.m.
April 6 (5:30-7:30 p.m.) – Includes the Toyota Blue Grass (G2) and Central Bank Ashland (G1). April 13 (5:30-6:30 p.m.) – Includes the Coolmore Jenny Wiley (G1) and Stonestreet Lexington (G3). HRRN is streamed worldwide on its website, horseracingradio.net, and can be heard throughout North America on Sirius/XM. 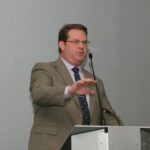 Another HRRN program, “Equine Forum,” airs Saturdays from 8-10 a.m. Check the website for the latest schedule and channel information. April 5 (noon-2 p.m.) – Includes coverage of College Scholarship Day and a preview of the Toyota Blue Grass (G2) and Central Bank Ashland (G1). All radio broadcasts are on Big X Sports Radio 96.1 and 1450 and streamed live at bigxsportsradio.com. “Horse Tales with Ercel Ellis”: Saturdays from 8-10 a.m. on Rewind 105.5FM in Lexington; streamed live on iHeartRadio and Rewind1055.com. Past programs are archived on ercelellishorsetales.com. Post Draw for the $1 million Toyota Blue Grass (G2) and $500,000 Central Bank Ashland (G1) – Begins approximately at 11:15 a.m. Streamed live on Keeneland.com and Facebook Live. The Hill – Fans who like to tailgate will enjoy the festive atmosphere of The Hill, where they can watch races on a jumbo TV and place wagers. The Hill also features food trucks, The Keeneland Shop kiosk and complimentary shuttles to the track. On Saturdays, bluegrass music presented by The Burl, a popular live music venue in Lexington, will perform from noon to 4 p.m.
College Scholarship Day – Full-time college students from Kentucky and beyond will vie for $30,000 in scholarships on College Scholarship Day, which Keeneland holds in partnership with the Kentucky Thoroughbred Association. Two $10,000 Runhappy Scholarships will be awarded in addition to $1,000 scholarships awarded after each of the day’s 10 races. One Runhappy Scholarship and one of the $1,000 scholarships will be awarded to students who work in the Thoroughbred industry or have parents who work in the industry. Pre-register online by 5 p.m. April 4 to pass the line. Students receive free general admission April 5 and can register at the College Zone in the North Terrace, which will have music, free snacks and prize drawings. $200,000 Friday Pick Four Presented by TVG. Includes races 7-10. The Keeneland Shop Milliners Corner with Christine A. Moore Millinery (April 4-6) and Trunk Show with Darren K. Moore (April 4-6) and Maui Jim (April 5-6). Sunrise Trackside – The day begins early for racehorses. Keeneland invites you and your family to experience their mornings with Breakfast With the Works, which features breakfast for purchase and trackside commentary (7-8:30 a.m.) while horses train on the main track. The event includes children’s activities in the Kids Club Corner (7:30-9:30 a.m.); guided Keeneland tours that depart from the welcome stand near the Paddock (7:30-10 a.m.) and Paddock demonstration of a farrier from Rood & Riddle Equine Hospital (9-9:30 a.m). Parking and admission to the morning events are free. NYRA Cross Country Wager featuring the Toyota Blue Grass (G2), Central Bank Ashland (G1) and Madison (G1) from Keeneland and the Wood Memorial (G2) and a second race from Aqueduct. Kids Club Family Day – The Keeneland Kids Club is our Official Kids Club for fans 12 and younger. Members and their families are invited to enjoy a special day at the races with free general admission and access to reserved Grandstand seating. Children’s activities will take place in the North Terrace from noon to 3 p.m.
1-844-TVG-PDJF from noon to 7 p.m. ET. Donations are accepted any time at https://pdjf.org/donate/. Last year’s inaugural telethon raised nearly $230,000.